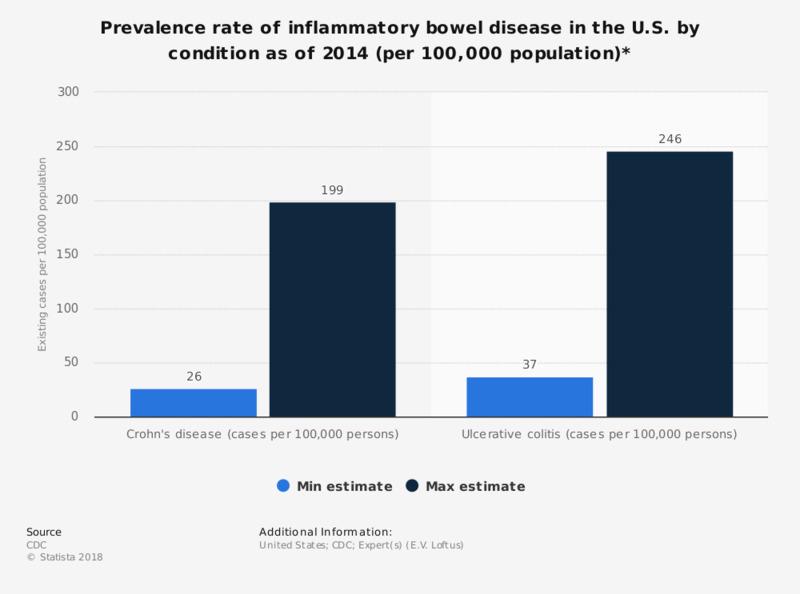 This statistic displays the prevalence rates of inflammatory bowel disease (IBD) in the United States by condition as of 2014. There are between 26 and 199 cases of Crohn's disease per 100,000 persons in the country. Approximately, 1 to 1.3 million people currently suffer from IBD, however, the cause of IBD is currently unknown. IBD occurs in the colon and intestine and can also impact other parts of the body. * IBD = inflammatory bowel disease. All figures based on 2004 figures ( E.V. Loftus).